Paul Dunne may have collected his first pay cheque of the new season but his search for form continues after a disappointing weekend at the inaugural Saudi Invitational. Dunne returned a two-over-par round of 72 that included four bogeys and two birdies to add to a stuck in the mud 70 on moving day around the testing Royal Greens course. The Greystones golfer fell 15 places down the leaderboard into a tie for 51st on one-under-par for the week but picks up a cheque worth €12,503 for his efforts. Dunne, who had missed the cut in both Abu Dhabi and Dubai, can take encouragement from seeing the week through at King Abdullah Economic City and no doubt there’s plenty more to come from the 26-year-old this season. 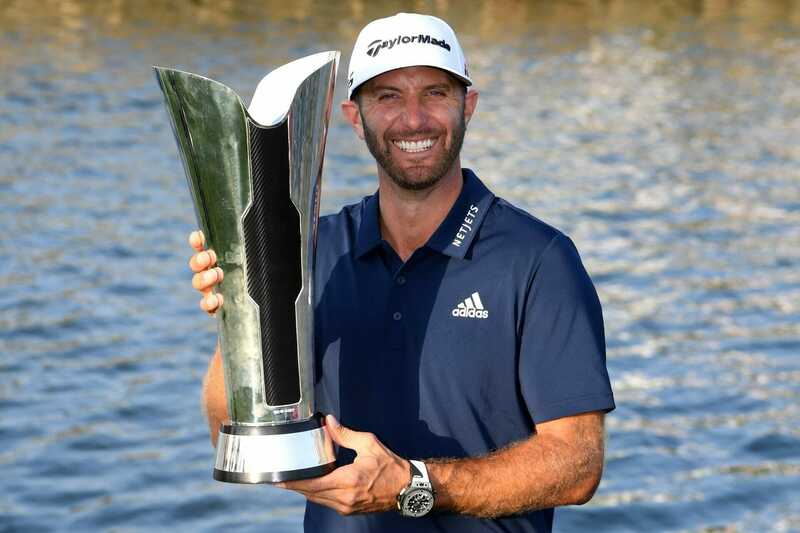 At the top, Dustin Johnson overcame a world-class field to win the inaugural event by two strokes on Sunday and claim his sixth European Tour title. World Number Three Johnson came out on top in a captivating final-round battle with playing partner Li Haotong on day four, mixing five birdies with two bogeys in his closing 67 to finish the week on 19-under-par. China’s Li finished alone in second after holing his five-foot birdie putt at the 18th to get to 17 under. Englishman Tom Lewis was another stroke back in solo third after carding seven birdies and two bogeys in his final-round 65. World Number Three Johnson drew first blood in his fourth-round showdown with Li, holing from six feet to pick up a shot at the second for the fourth day in a row. After both men had surrendered a bogey at the tenth, Johnson made back-to-back birdies at the 11th and 12th to edge in front. But the 23 year old sent his approach at the 15th to within two feet before rolling in for a birdie to close the gap. There was to be another twist as Johnson’s tee-shot at the short 16th missed the green and went left towards the sea. He was forced to take a drop but bravely holed his bogey putt to drop just the one shot and remain one ahead of Li and Tom Lewis. And he tapped in for a close-range birdie at the 17th to restore his two-shot advantage with one hole left to play. DJ then repeated the trick at the last, rolling in from close range to win the tournament by two shots. Johnson’s victory comes a day after Sergio Garcia was remarkably disqualified from the tournament under rule 1.2a. Rule 1.2a allows for disqualification if a player has committed serious misconduct, with Garcia alleged to have damaged multiple greens during a clearly frustrating third round. Although no footage has been released of Garcia’s ill-advised gardening, groups playing behind Garcia accused the Spaniard of damaging the putting surfaces with over-zealous thuds of his flat-stick. And here we were thinking Jon Rahm held the title for being the most fiery Spaniard in golf.